Sign up today and start collecting reward points right away! Collect points with every purchase - It's the easiest way to earn gas discounts and merchandise rewards! You can earn more points by making purchases at participating Hometown Rewards Locations, and month-to-date purchases are accumulated to increase your rewards. Monthly benefits earned are valid through the following month, and every month you have a new chance to win! Every time you purchase club items, such as a coffee or fountain drinks, use your tag and earn club credits. Make qualifying number of purchases and earn your next club reward free. No more punch cards! "How Do I Earn Reward Points?" Just pick up your Hometown Rewards tag at any participating location, fill out the registration form, and give it to the cashier. Use your Hometown rewards tag every time you purchase gas or in-store items and start earning points! Your Hometown Rewards tag also enters you into a sweepstakes, earns you club rewards, and could even get you money back on your gas purchases! You earned them! Rewards: coupons for store items, "Money Back" gas coupons and prizes! paid for at the pump. "How Do I Use My Hometown Rewards?" When making a purchase inside the store, wait until the cashier has finished your transaction and simply place your Hometown Rewards tag close to the label that says "Place TAG Here." 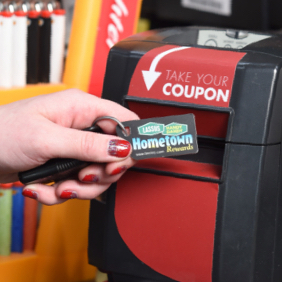 After your transaction is complete go to the Hometown Rewards printer and scan your tag and the scanner will print your Reward Coupon. 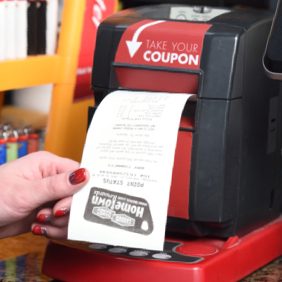 You can also wait until the next time you visit a Lassus Handy Dandy to retrieve your Reward Coupon." Use you Hometown rewards tag every time you purchase gas or in-store items and start earning points! Your Hometown Rewards tag also enters you into a sweepstakes, earns you club rewards, and could even get you money back on your gas purchases! As a Hometown Rewards Member you get the opportunity to pick your charity of choice that you’d like the Lassus Foundation to support. By supporting your local Lassus Handy Dandy location, Foundation dollars are directed to many charities in the area, and dollars stay local as well. "What Kind Of Rewards Do I Earn?" WHAT REWARD LEVEL ARE YOU AT? FIND OUT NOW! 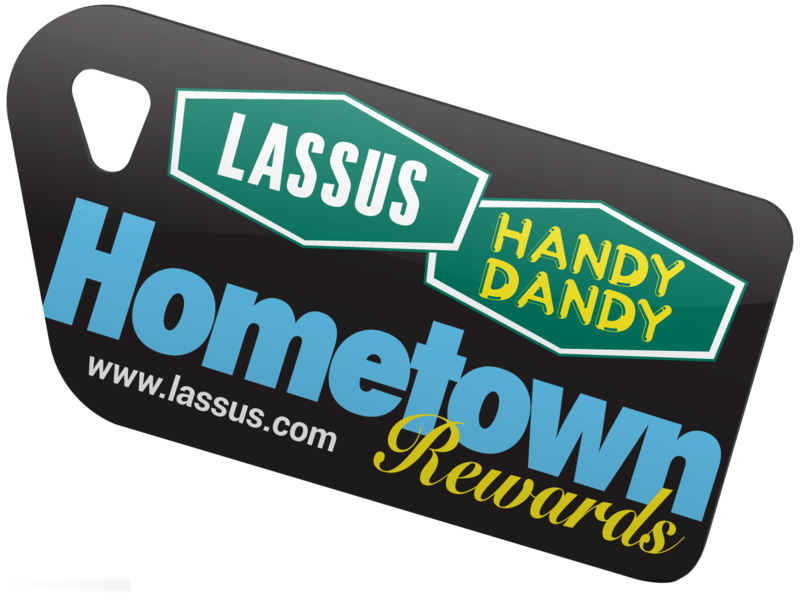 Make Returning to Lassus Handy Dandy more rewarding. It’s the easiest way to collect gas & merchandise rewards and earn points with every purchase. How Do I Track The Points I Have Earned? 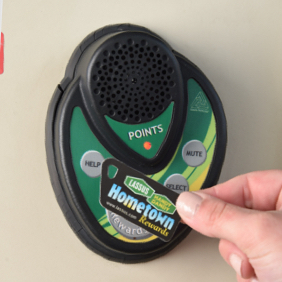 Your point status can be reviewed at your local Lassus Handy Dandy store. Just swipe your Hometown Rewards tag on the Reward printer device located in front of the cashier and your point balance will be printed. How Do I Use My Hometown Rewards Card At The Pump? When making a purchase at the pump, wait until the pump has been authorized and simply place your Hometown Rewards tag close to the label that says "Place TAG Here. How Do I Use Hometown Rewards In The Store? Pay for your merchandise or fuel at the sales counter. After the transaction is completed swipe your tag to receive your points. How Do I Receive My Rewards or Instant Rewards? Club and Instant Rewards will automatically print when you swipe your tag on the Rewards printer. What items are not eligible to earn points? Alcohol, Cigarettes, Diesel, Gift Cards, Incomm Cards, Lotto/Lottery, Money Orders, Money Order Fees. Can I turn the message off at the pump? Yes, press the Mute/Volume button. What do I do if I lose my tag? You can get a new tag at any store. You will need to let the store know that it is a replacement tag so we can make sure that the points are transferred. Where can I find the terms and conditions of the Hometown Rewards program?